3D Printed Homes: How is it changing the housing and construction sectors? The world is swiftly urbanizing. The U.N. Department of Economics and Social Affairs (UNESA) expect that by the year 2050, two-thirds of the world’s population will be living in urban centers. This means that economic cities are now a necessity rather than a luxury. Economic cities are needed as a way to extend all the energy of the cities toward economic and social development. If the majority of the population will be living in cities we need to turn these cities into sustainable financial centers. And as the world heads to urbanization so does the GCC, economic cities in the GCC are rapidly growing in number and area. Economic cities in the GCC are built with visionary plans in mind. Most of those cities encourage foreign investment in many ways. 100% Landownership is permitted for one thing. And also, a majority of these cities have different tax laws that are legislated to boost investment. 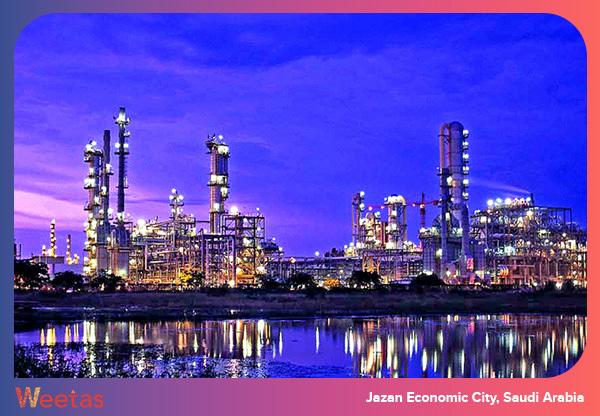 Jazan Economic City is an economic city in the Jizan Province in the kingdom of Saudi Arabia. With a main focus on the energy and manufacturing industries, the city will provide an estimated 500,000 new jobs when completed. Jazan Economic City is strategically located at the mouth of the Red Sea. This prime location enables the economic city to service markets in Europe, Asia and East Africa, and also to receive raw materials from the surrounding countries that are currently not well served with processing and manufacturing facilities. Spreading over a total built-up area of 1.182 million square feet, Jazan economic city will feature advanced industrial facilities as well as residential units and state of the art facilities and services. Located in Medina, the city will spread over an area of 4.8 square kilometers. It will be an integrated community for living, working and learning. It is estimated to generate 20,000 jobs and house 200,000 residents. 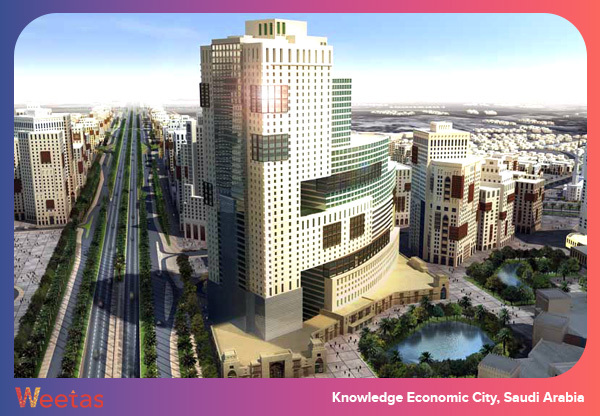 KEC is planned to revolve around knowledge-based industries and services. The city will comprise a complex for technology and knowledge-based economy, technological and administrative colleges, an Islamic civilization studies center, and a complex for medical, biological, sciences, and health studies, in addition to a theme park. Located in the heart of Dubai’s industrial zone, Dubai Techno Park is an industrial complex under construction in Dubai. 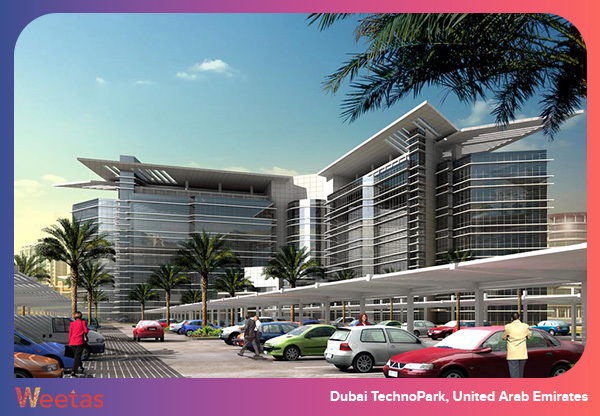 The purpose of Dubai Technopark is to focus on the commercial development of technology. The Dubai Techno Park (DTP) economic zone provides international businesses with a number of competitive advantages and public benefits in the field of taxation and customs rates. The development will cover an area of 21 square kilometers of land, about 30% of which are open space areas. The Technopark is more than merely an industrial zone, the mixed-use mega development is planned to comprise residential units, shopping and dining facilities as well as entertainment facilities. Dubai Silicon Oasis (DSO) is a 7.2 square kilometer government-owned free trade zone in Dubai. This mega development is self-sustained. The development comprises a huge area for development and industry, a first rate residential area, vast green landscaped areas as well as all community services and facilities needed for living. 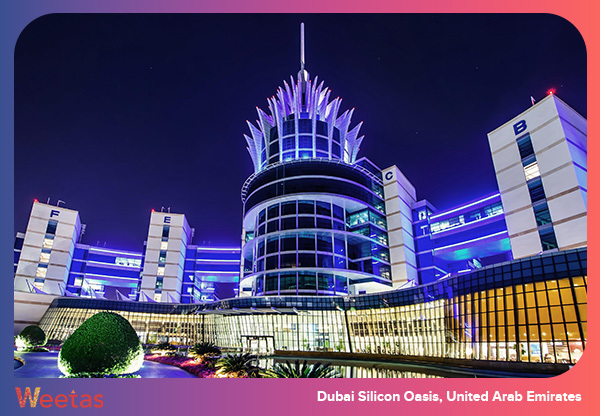 Silicon Oasis Free Zone Authority provides incentives and benefits to companies operating within the tech park. The Authority has made a huge investment in the infrastructure of this mega development to cater to the need of high tech industries in the free zone. As a government authority, The Dubai Silicon Oasis Authority provides in-house business and government services and fulfills all legal and operational requirements for the companies operating within the free zone. All permits and services are provided directly by DSOA under one roof. This under construction project has faced some hurdles and caused some controversy, however, it is currently undergoing. 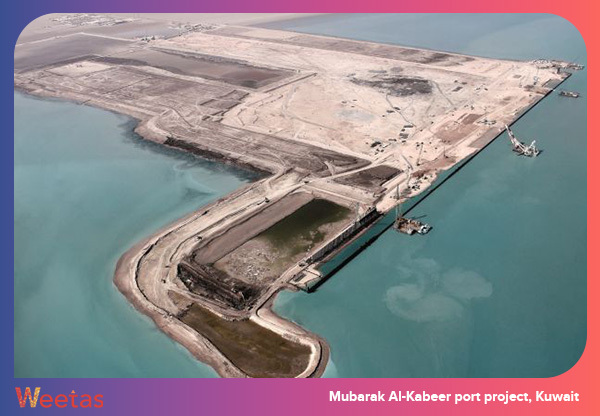 Set to be developed on Bouyban Island off the coast of Iraq, Mubarak Al Kabeer Port was initiated by Kuwait’s Ministry of Public Works in order to re-establish Kuwait as a prominent shipping hub in the Middle East. Estimated to cost $16bn, the port will feature a total of 18 container berths in operation after the completion of the third and final stage. It will be one of the largest container ports in the Middle East and a major transit hub between the Middle East, Europe and Asia. Boubyan Island is the largest of the Kuwaiti coastal islands. Building the Seaport on the east coast of the island is part of a huge plan to develop several economic zones across five islands. The New World Centre: What makes Neom City project stand out?